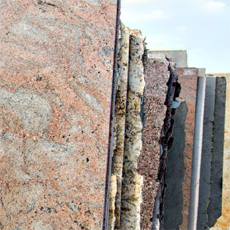 Since 1994, Granite Accents has been providing our customers granite counter-tops, marble, and other natural stone products. 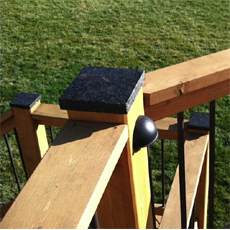 At Granite Accents we take pride in being the best in our industry. We combine some of the industry’s latest technology to give you the best product available. With every single project, you experience infinite choices and customization techniques. 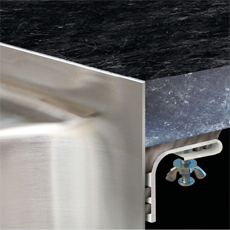 Bring your dreams to life with granite countertops and other stone surfaces. Let us help you select exactly what you want, and we’ll take care of the rest! Finally, Summer is headed our way! Light up the night with these one of a kind fire pits. As the nights get chilly, these fire pits are sure to give your family and friends the warmth they need! Available in square, circle, as well as a variety of colors and custom options. Call 605-338-4088 today to get yours! 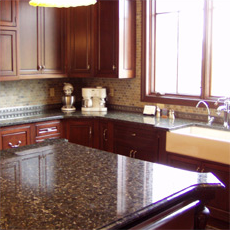 We are a locally owned, family business specializing in granite and stone installation. We have been in business for over 20 years. Along with a large, on-site slab selection of granite and natural stone, we also offer top brand of manufactured stone and quartz countertops. Ready to get started? Get a quick quote bid by completing our online form with measurements and material specifics to request a bid. Looking for a small stone piece? Browse Special Stock and Remnant page to see over 100 pieces available with color, size and photo.